Creative Performance has over 450 stitches, 4 fonts, 200 designs, stitch creator, stacking stitches, color touch screen, IDT system. 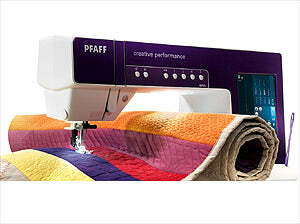 Pfaff Creative Performance Sewing Machine, Optional Embroidery Unit. At first glance … you see a sewing machine with a unique, unmistakable design, with all the features needed to make sewing a very special experience. 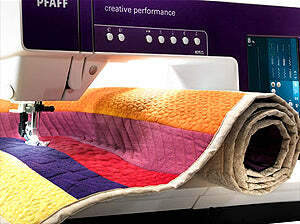 Pfaff Creative Performance Key Features. The PFAFF creative performance™ sewing and embroidery machine is the perfect choice for quilters, home dec sewers, fashion enthusiasts – anyone who creates. The sewing area to the right of the needle is supersized for sewing large amounts of fabric or batting. Option to use it as an embroidery machine. Purchase the creative performance sewing machine by itself or add an embroidery unit and expand your potential. 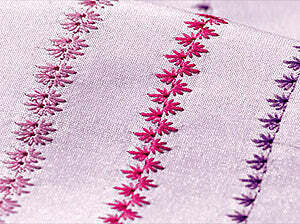 Choose between two different embroidery units for your PFAFF creative performance sewing and embroidery machine. The larger unit features an embroidery area up to 360x350mm so you can embroider your unique, personal creations in one hooping. Pfaff Creative Performance Included Accessories. 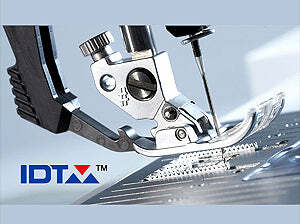 0A - Standard presser foot with IDT system. 1A - Fancy stitch foot with IDT system. 3 - Blindhem foot with IDT system. 4 - Zipper foot with IDT system. 6A - Embroidery/ Sensormatic free-motion foot. USB cord (P/N:412 62 59-04). 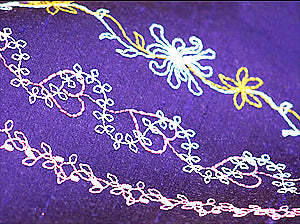 6D Embroidery Machine Communication CD. 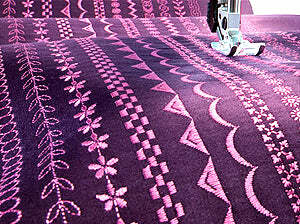 Pfaff Creative Performance Included Designs. 224 fantastic embroidery designs – Created by fashion designers for the PFAFF creative performance sewing and embroidery machine. The built-in embroidery designs are grouped into three different categories (machine designs, mini designs and quilting designs) making it easy to find exactly.